As much as I was looking forward to travelling to both Hong Kong and Tokyo, I was hit with the fear of what do I eat? I'm not a terribly fussy eater, but there are some things that I dislike, and I'm super picky about eating meat, nor do I eat fish - at all. 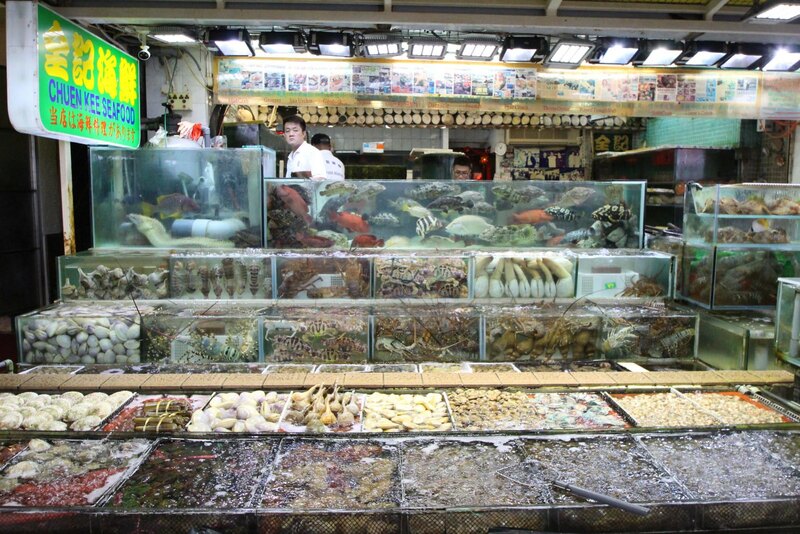 So knowing that I would be going visiting these places, where part of the main staple diet is indeed fish and some curious meats, I was a little apprehensive over what I could eat there. In Hong Kong especially I found very quickly that if you're somewhere central there will always be somewhere that has a menu in English, and offers you lots of vegetarian options. Of course if you're desperate and needing somewhere quick, you'll always still find Western food chains which will be a little more familiar! 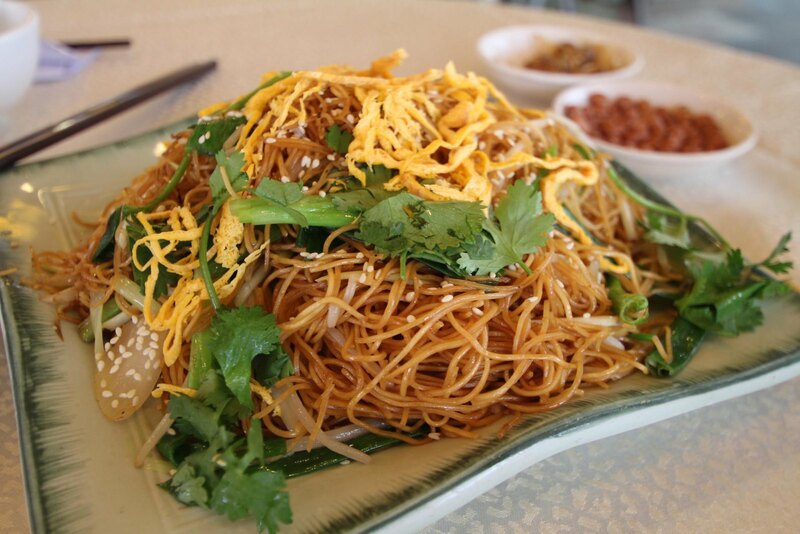 With Hong Kong being such an international and multicultural city, you'll very quickly find almost every cuisine possible on each street. Tempting as it may be to head for something you instantly recognise, I would advise that you take a chance and give the traditional food a go, you might be surprised! There were things I never thought I'd eat, but then ended up enjoying and ordering time and time again. Before going to Hong Kong, I can't say I was a big fan of Chinese food. But I very quickly found that proper Chinese food and the kind that you get elsewhere in the world, is definitely not the same. Almost everything will come with noodles, and you'll certainly get quicker using chopsticks, but don't be afraid to ask for a fork if you're struggling. 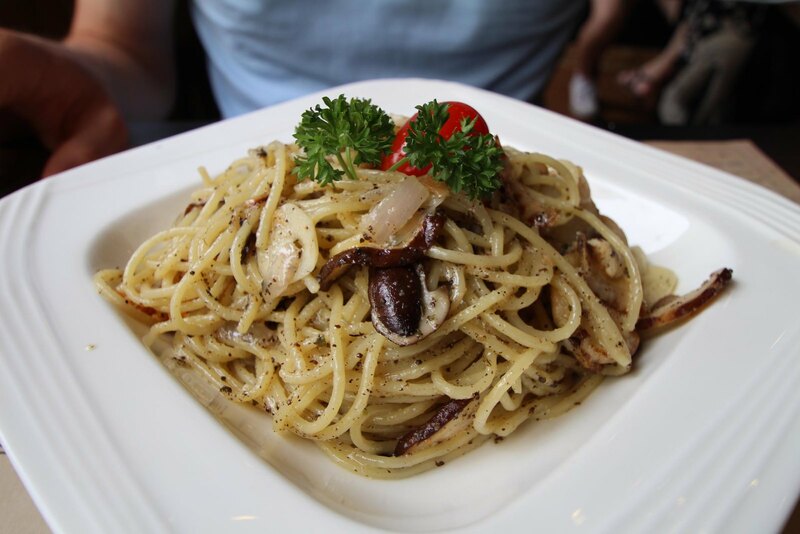 Every now and then you'll find yourself longing for something that isn't noodles, despite how good the garlic noodles on the go for a snack might be from 7/11, sometimes it can get a bit much. One of my favourite alternatives to Chinese food whilst visiting Hong Kong was hitting up the nearest Korean BBQ. A concept totally unknown prior to visiting, they're relatively cheap and a buffet style where you select your own meats and vegetables etc to fry, and there is a BBQ pit in the middle of your table and you share. They can be great value for money and it gives you the option to have exactly what you want, noodles or no noodles! Don't Eat Sushi or Seafood? 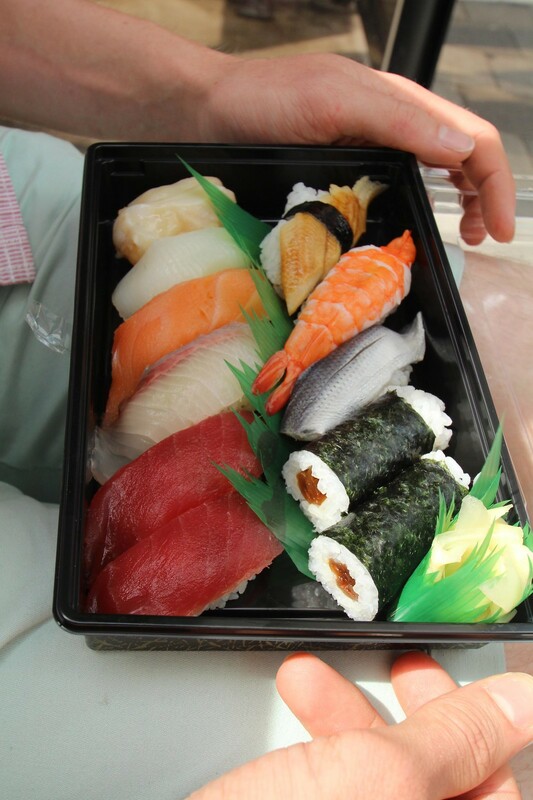 Not eating any kind of fish or seafood was one of my biggest worries over visiting Tokyo. My mind had been put to rest in Hong Kong as I got used to my surroundings and learnt what local cuisines I would and could eat, but Japan was a different game. As soon as we landed in Tokyo I instantly noticed the lack of signage and generally anything, in English translations. Translation apps on my phone became my most valued asset, but do know that if people can speak bits of English to help you, they will. Everyone in Tokyo was very polite and understanding, and at the end of the day, they won't let you go hungry! We found that seafood and sushi was very much the most popular in Japan, but it also has a very high Buddhist population who are both Vegetarian and Vegan. You'll generally find food places either in or around the temples, you'll find plenty of tasty options. Typically if we went to a seafood restaurant or got sushi, I would see if they did vegetarian sushi, or offered an alternative - such as tofu. You'll also find plenty of dim sum places which offer vegetarian options, allowing you to pick as many different small dishes as you'd like and endless pots of jasmine green tea. Do be aware that in both Hong Kong and Tokyo, they don't place 'Vegetarian society' symbols on food items like they do in the UK, so you might find that something you think will be vegetarian or vegan, might very well still be fried in animal fat or cooked in chicken stock. Looking up some key translation phrases to speak or even to show will help clarify this for you. Dessert was one of my favourite things in both Hong Kong and Tokyo. I have a very sweet tooth and all the bright sweets and chocolate dipped everything was indeed very tempting. Both Hong Kong and Tokyo were similar in their choice of desserts. I'm a big fan of mango and in Hong Kong they're serious about Mango, which was fine by me! You'll find yourself craving fruit and you'll be able to buy giant melons from every food market and shop to keep you hydrated. Bubble tea was something I had tried previously back in the UK, but found that the tastes could be wildly different in both Hong Kong and Tokyo. In the UK you'll often find that the tapioca balls which make up the 'bubbles' are filled with fruit liquid, but in Hong Kong especially they were plain flavoured and much chewier. Back in the UK if you ask for 'tapioca pearls' or 'pearls' rather than 'popping boba', you will get the regular black tapioca ones. Bubble tea isn't for everyone, but it's definitely worth trying in the different flavours offered. A cold ice cream is something you'll want every time you pass a shop selling some to cool down. Forget all your British classics, there is no raspberry ripple here. 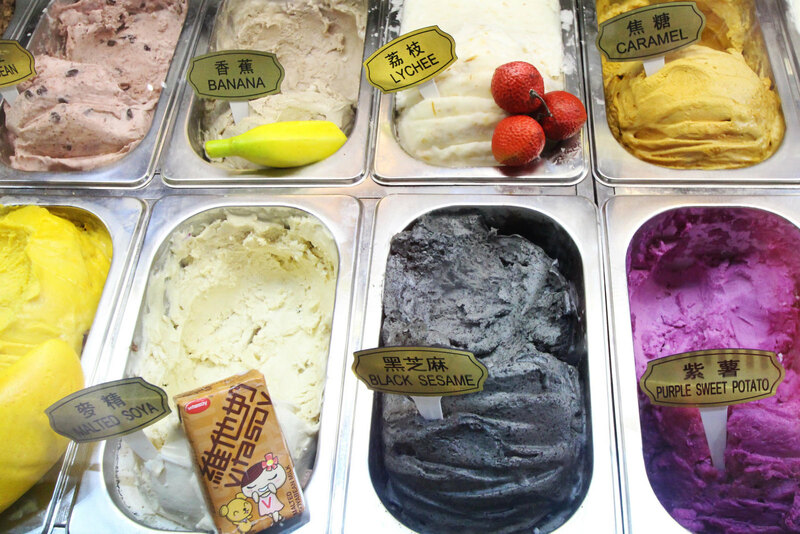 Be adventurous and try some black sesame or purple sweet potato for something totally different. In Hong Kong you'll find bubble waffles in a variety of flavours, and similarly they're crazy about crepes in Tokyo. Arguably there were more dessert options in Tokyo, and colourful chocolate dipped bananas are very popular. You'll have most likely tried Pocky before, but there are more flavours in Tokyo than you can ever imagine. My personal favourites were green tea and cookies and cream. We also spotted popular 'Tokyo bananas'. They are cake like with a caramel banana style filling, and super sweet! A little hard to find, but definitely tasty. 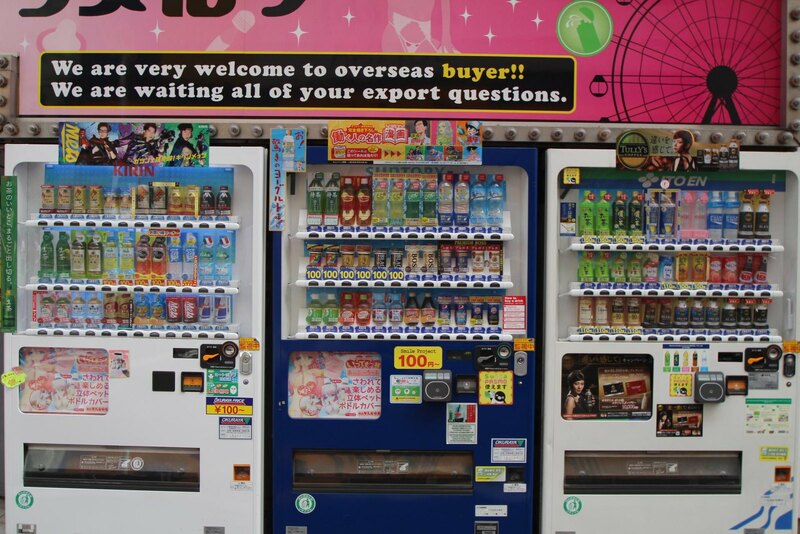 In Tokyo there are vending machines on every street corner. Quite literally, you can't go more than a street until you find an array of cold drinks and even some offering everything from food and drinks to miniature games and charging cables. 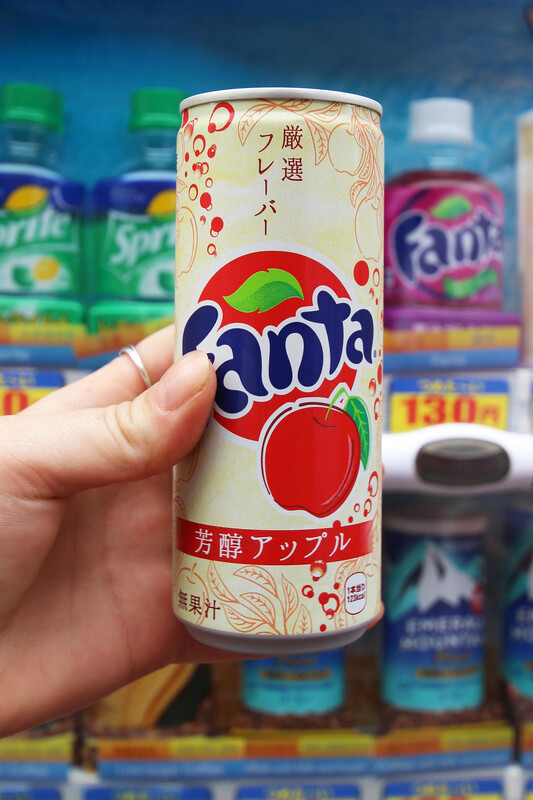 The drinks machines were my favourite and I very quickly got addicted to drinking Fanta grape and Fanta cherry. Try all the weird and wonderful flavours, you won't be disappointed, but you will miss them when you return from your travels.